Remember playing Super Mario Bros. 3 as a kid (okay, maybe as an adult, too) and encountering Boos? The sneaky ghosts would only move when you weren’t watching them. Well, Cornell physicists verified that, much like the fictional foes from the Mario universe, a quantum system can’t change while you’re watching it. Of course, the real process is a little different, and has more to do with how we are able (or not able) to measure the world of the very tiny. This effect was considered one of the strangest predictions of quantum theory, but the experiments performed in the Utracold Lab of Muknud Vengalattore, associate professor of physics, confirmed it. Eventually, Vengalattore established Cornell’s first program to study the physics of materials cooled to temperatures as low as .000000001 above absolute zero; though, Vengalattore wasn’t alone in the study. For the experiment, graduate students Yogesh Patil and Srivatsan K. Chakram made and cooled a gas of about a billion Rubidium atoms inside a vacuum chamber and suspended the mass between laser beams. the Ultracold Lab of Mukund Vengalattore, assistant professor of physics.Credit: Cornell Chronicle. This is when the team observed something exceptional: The atoms wouldn’t move around as long as they were under observation. The more often the group used a laser to measure the behavior, the less movement they saw. 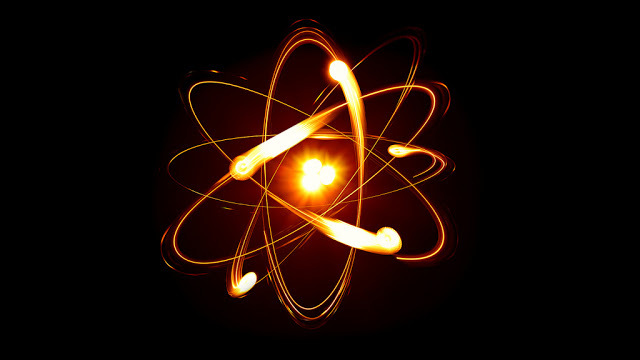 The only way the atoms would move was when the researchers turned down the intensity of the laser, or turned it off completely. Notably, otherwise, the atoms organized themselves freely into a lattice pattern, just as they would if they were crystallizing. It must feel pretty cool to stop atoms just by looking at them with the lasers, but there are much larger ramifications for this discovery. For example, it shows that quantum cryptography should work— meaning an intruder can’t spy on your communications without destroying the data. “This gives us an unparalleled tool to control a quantum system, maybe even atom by atom,” said Patil, lead author of the paper. Furthermore, this work opens the door to a fundamentally new method to manipulate the quantum states of atoms and could lead to new kinds of sensors, explains the Cornell Chronicle. Read more about how we impact small systems by imaging them in the Oct. 2 issue of the journal Physical Review Letters.